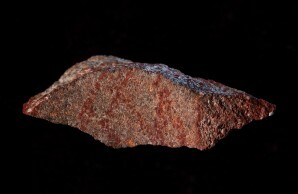 A silcrete rock flake with lines drawn in ochre. Communication through drawing is one of the abilities thought to make humans unique. 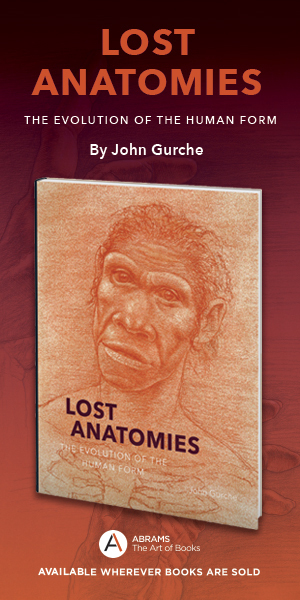 Previously, the earliest known drawings created by Homo sapiens were dated to about 40,000 years ago. A new study has determined that 73,000-year-old markings on a stone flake were drawn by humans, pushing the first known instance of human drawing back 30,000 years. Researchers, led by archaeologist Christopher Henshilwood at the University of Bergen in Norway, discovered a geometric drawing of nine lines in a cross-hatch pattern on a 0.5 by 1.5-inch piece of silcrete stone in the Blombos Cave of South Africa. The stone, dubbed L13, was found among thousands of similar stone pieces in the fifty-five-square-meter cave, which members of the research team have been excavating since 1991. In order to establish that the markings were purposefully made, the researchers first used Raman spectroscopy and scanning electron microscopy to confirm that the marks were drawn on L13 and were not part of the stone itself. Confocal microscopy showed that the surface with the lines was significantly smoother than L13’s other surfaces. This smoothness, and the fact that the lines go to the edges of the stone, suggest that L13 was part of a larger drawing that flaked off the surface of a grindstone. Next, the researchers tested how L13’s lines were drawn by trying to create similar markings on other silcrete stones from the Blombos site. Imaging had determined that L13’s marks were made with an iron-rich clay-like pigment called ochre, so they made test markings using ochre paint of varying viscosity and ochre sticks of varying thickness. Comparison of experimental ochre lines to those of L13 determined that the cross-hatched lines of L13 had been made with a solid ochre “crayon,” rather than with paint.